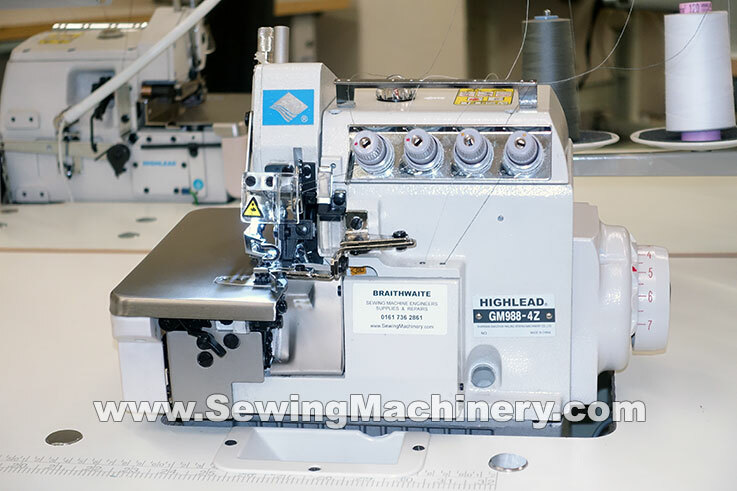 New Highlead GM988 industrial overlock sewing machine series with direct drive motor system. 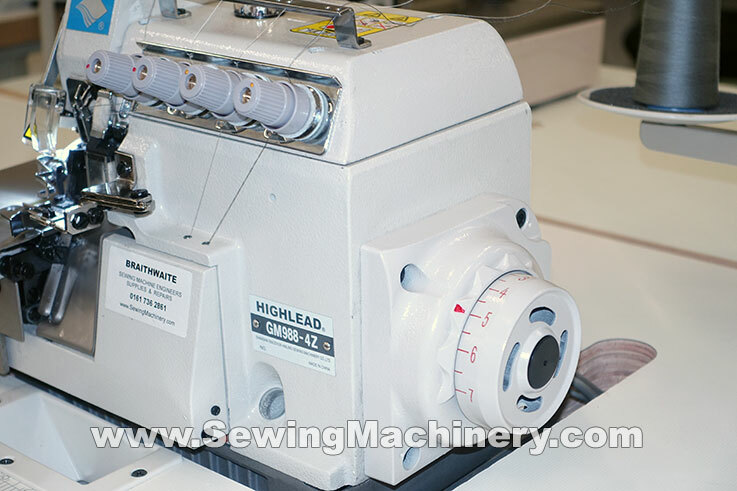 General purpose model for stitching light to medium weight materials. Suitable for use in manufacturing a wide range of clothing/textiles and able to produce a well balanced stitch formation, resulting in top quality seams. The integrated direct drive motor system operates smoothly and quietly. The operating speed is widely adjustable & under the direct control of the user. Up-to 40% energy saving are possible when compared to a conventional clutch type motor system. 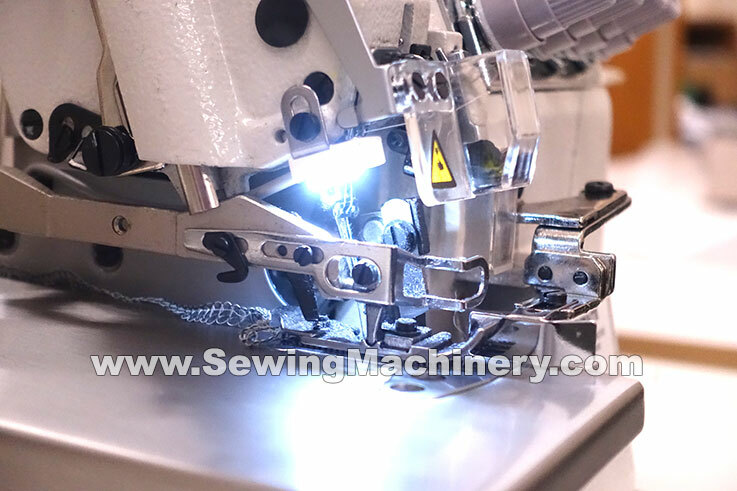 Both the stitch length and differential feed amounts are easy to adjust and set. A needle area LED light is also included as standard equipment. Top & bottom edge trimming knives.